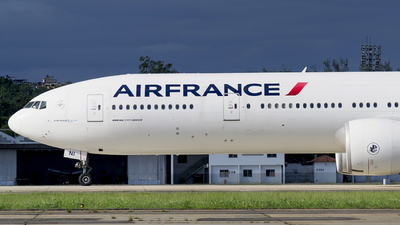 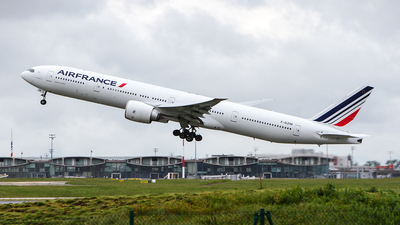 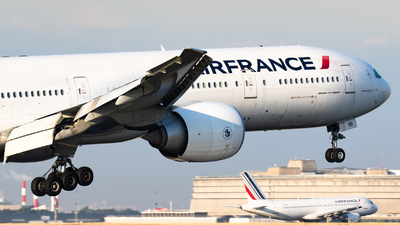 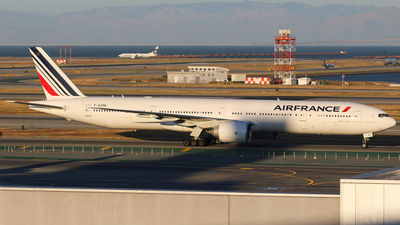 Note: AF344 from Paris-CDG is entering the apron. 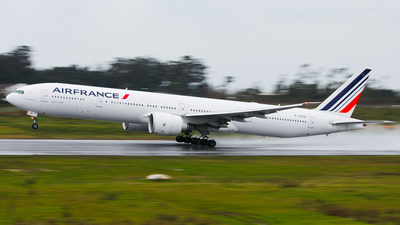 Note: On finals for runway 24L. 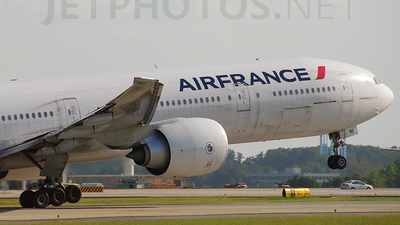 Note: [1920px] Taxing to the terminal after landing on runway 27R as Airfrans 333 from BOS at 08:38 hrs. 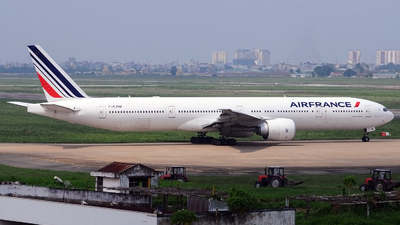 Note: F-GZNI as AF258 was on short final at SGN in the morning with some vortex on her wings. 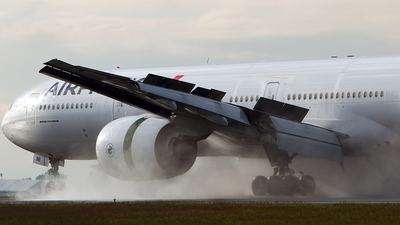 Note: Taxing out towards 17R. 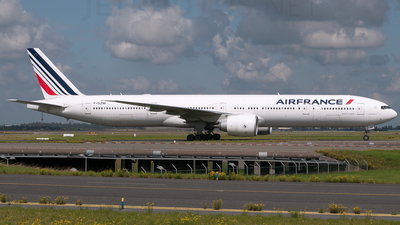 Note: AF083 has just arrived from San Fransisco and is roling towards terminal now. 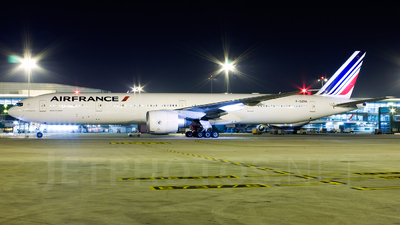 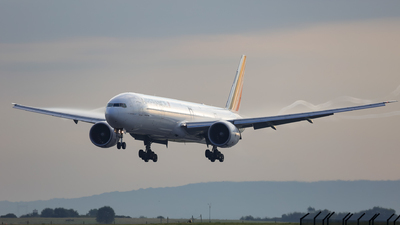 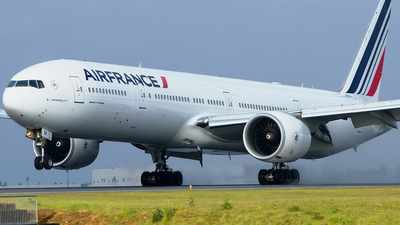 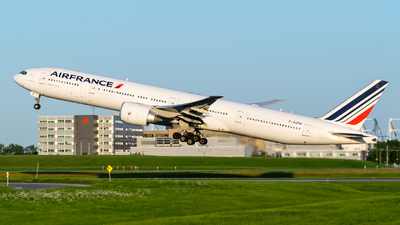 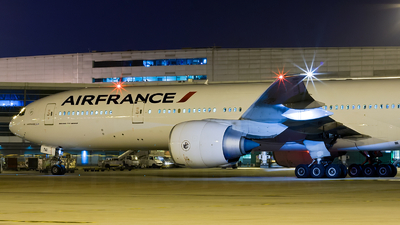 Note: [1400 px] Local time is around 12:30 am as the 'Night Action' at DEL is about to 'Heat UP', as this mighty B77W is set to operate AF 225 to Paris! 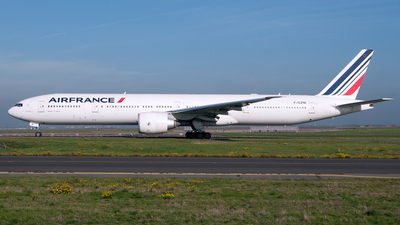 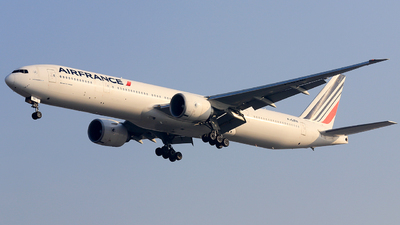 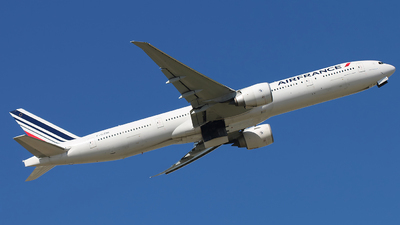 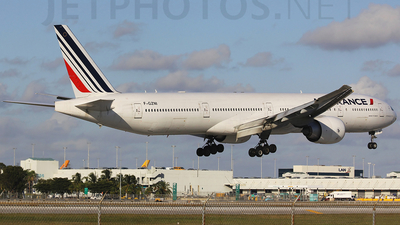 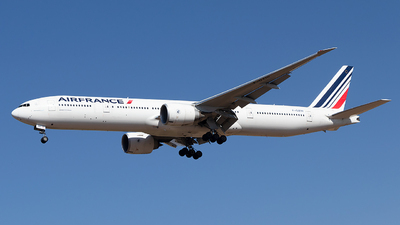 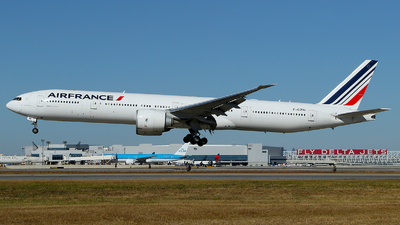 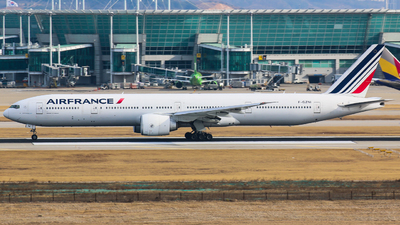 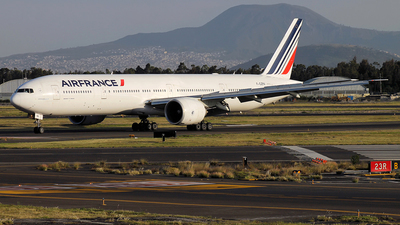 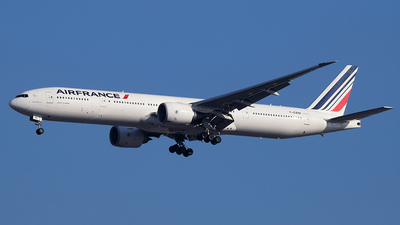 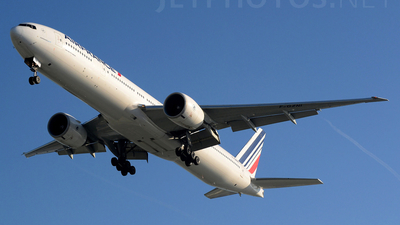 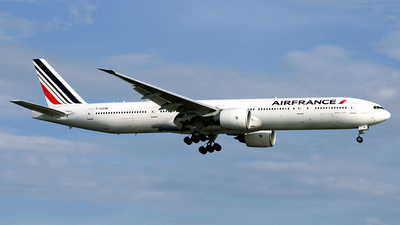 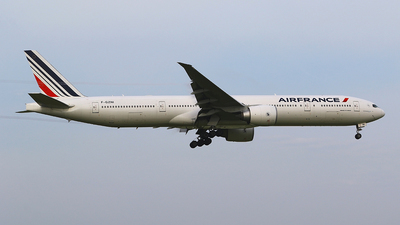 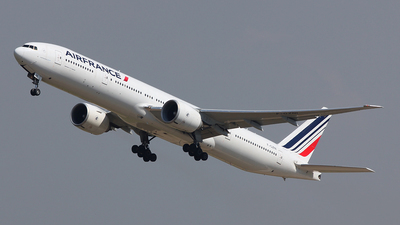 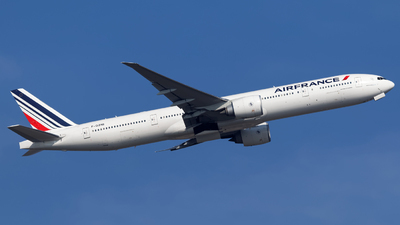 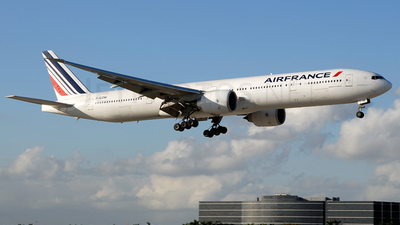 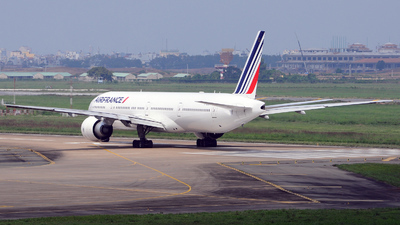 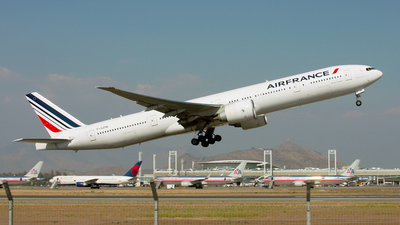 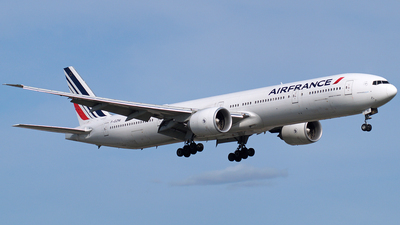 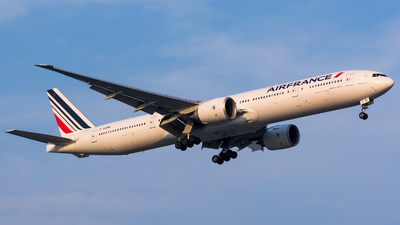 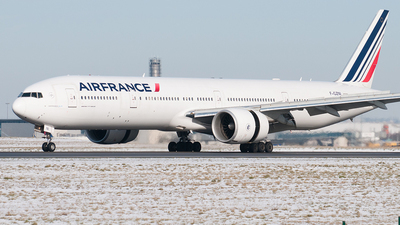 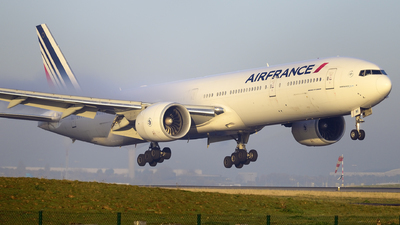 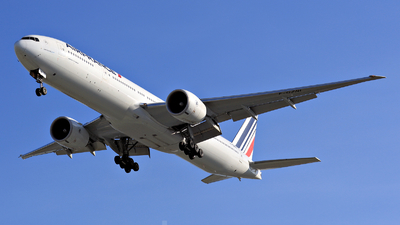 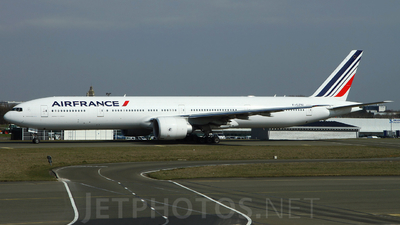 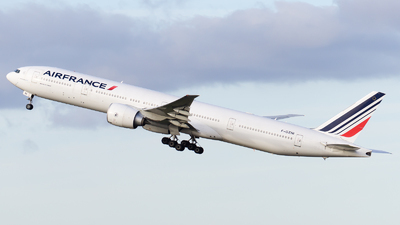 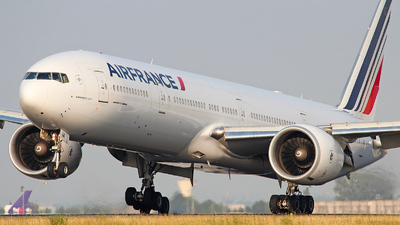 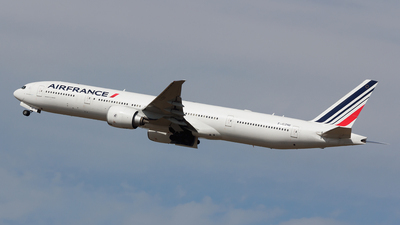 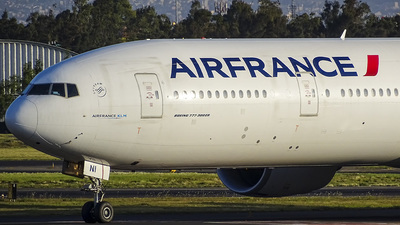 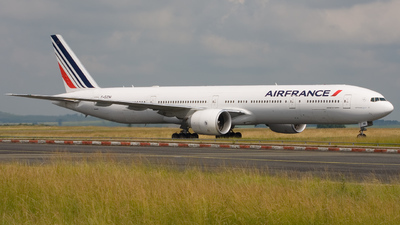 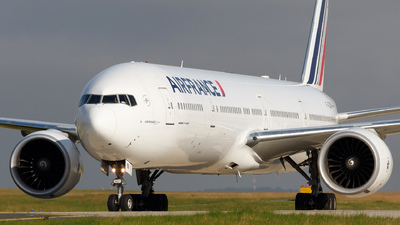 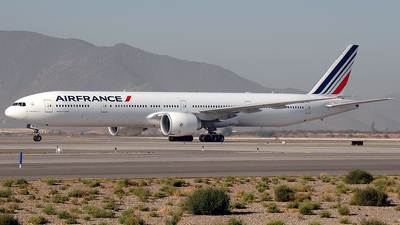 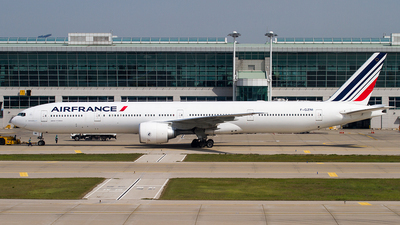 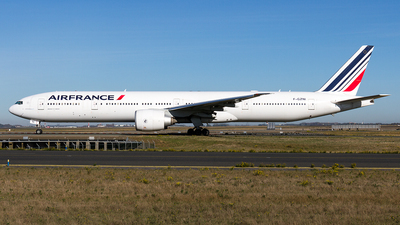 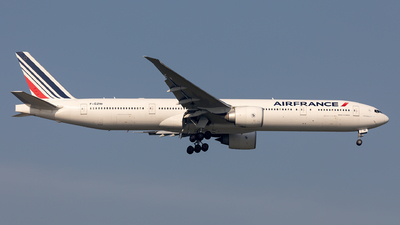 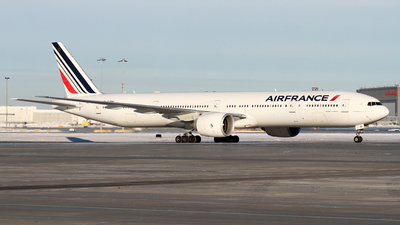 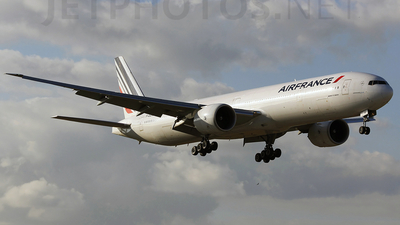 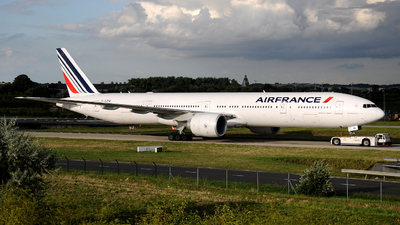 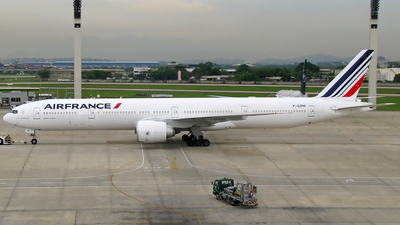 This bird sports a C42W24Y317 configuration & was delivered to Air France on 01-04-2011. 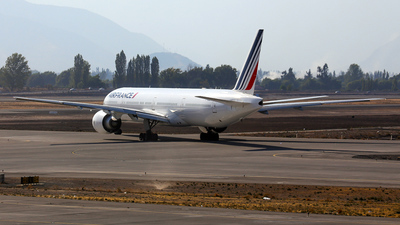 Note: Incredible takeoff from runway 17R, with American and Delta's Boeing 767 parked on "R" taxiway.